Summer camps have long been connected with the personal growth of children. Many of today’s young adults struggle with the transition from home to college. Camp Kupugani, our overnight summer camp in the Midwest, can help prep your child for a good transition (and hopefully not to return to live in your basement in their middle age). See below for how our camp specifically can help your child(ren) be more successful in this transition period. Bullets below adapted from an article from the American Camp Association, with the full article here. Helps your child use community resources for help and support when experiencing difficulties. Helps your child make positive choices and accept responsibility for personal behavior. Helps your child express self-confidence in their ability to succeed educationally and socially. Helps your child embrace opportunities to try new things, make new friends and contribute positively to the community. 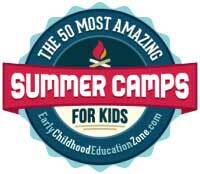 Helps your child demonstrate respect for oneself, for others, and for the positive camp culture.